Darlington Hearing: ROBUST public response! 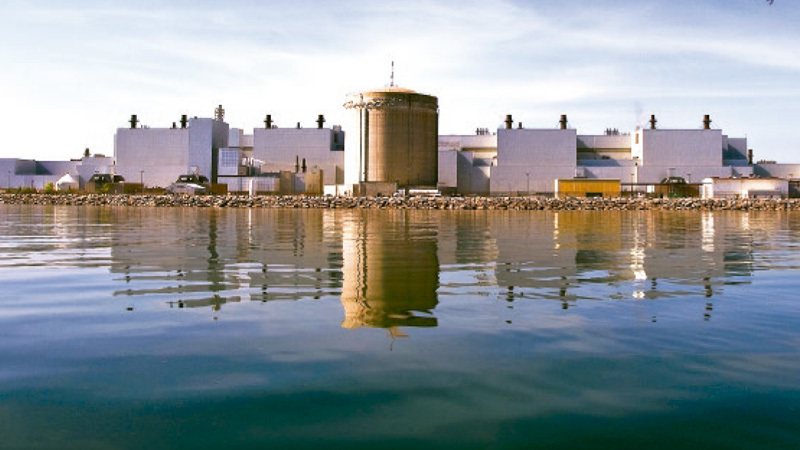 Ontario Power Generation (OPG) has asked the Canadian Nuclear Safety Commission (CNSC) for a 13-year licence to continue operations at the Darlington Nuclear Generating Station (DNGS). During this period of time, they intend to “refurbish” (i.e., rebuild) the site’s four reactors at a cost (to taxpayers) of between $8 & 14 billion dollars. Previous posts on this site provide information about the refurbishment – information that most people probably don’t know, as well as a posting with many reasons why a lot of us think there is no need whatsoever for CNSC to give OPG an unprecedented 13-year licence (or even 10). This posting will provide information about the hearing itself, which took place over a 4-day period, November 2-5, in Courtice – within seeing distance, almost, of the DNGS itself. You can access video of the hearing here. The Webcast will only be available on the CNSC Web site for three months, to the best of my understanding. On this page you’ll find links to the written transcripts from the hearing. For convenience, here are links to each of the days' transcripts. There was definitely what could accurately be called an extraordinarily robust response to this hearing. A total of 283 people wrote in, & approximately 65 individuals/groups/corporations presented in person. This is a very significant response, and for OPG & the CNSC to have had to devote four full days to the hearing is a statement about the considerable amount of public engagement & concern that exists regarding this license request. I might add that the education level of many of the intervenors is impressive. I’m not sure how many possess Ph.D.’s ... but it is quite a few. Citizen intervenors also included at least one medical doctor, several lawyers, & several engineers. This is not an unruly, uneducated bunch of rowdies we are talking about here. Just saying. Quite a number of nuclear worker groups, chambers of commerce & corporations also presented at the hearing; not surprisingly, remarks from these quarters were inevitably very positive in tone. Extremely questionable to many of us is this so-called “quasi-judicial” tribunal’s willingness to hear from corporations that stand to profit by bringing in millions of dollars from this massive reactor rebuild project. Such individuals/corporations seem surely less-than-capable of neutral, unbiased or deeply questioning views on the risks of the project or the safety of the technologies involved. Such, it must sadly be said, is simply the nature of CNSC hearings. This is not the first time I’ve witnessed this extremely questionable practice – it’s become a routine aspect of the proceedings. It is, quite simply, just the way the CNSC does business. CNSC may lay claim to being Canadians’ guardian of “nuclear safety” – but seasoned CNSC watchers find it seems to be far more of a nuclear industry booster than a true guardian of safety. It takes attendance at only one hearing for this to become abundantly clear. As with every nuclear hearing I’ve attended over the past nine years, I was impressed over & over again at the level of learning, expertise (& also courage) demonstrated by the citizen “intervenors,” as we’re called. Many have considerable technical knowledge & awareness regarding the ins & outs of nuclear technology & its associated risks, clearly the result of many hundreds (if not thousands) of hours, in some cases over many decades. By contrast, the nuclear boosters often sound more than a little foolish. It’s clear their knowledge is neither deep nor wide, in contrast to that of the citizens with their vast array of legitimate, wide-ranging concerns. It’s also clear that almost no one in the room (the very large “sanctuary” of the Hope Fellowship church in Courtice) – always including at least 20 or so OPG staff to one side, and at least 20 or so CNSC staff to the other, and the members of the tribunal sitting up front (at a long table on an elevated platform; six tribunal members, accompanied by the Commission Secretary & a CNSC lawyer, hold court at this elevated “head table) – really finds what the boosters say terribly compelling. You can sense a lack of real engagement among the audience members (even the paid, mostly quite highly paid, contingent among them, when these boosters are saying their piece). It’s palpable. Again, you have to be there to experience this. By contrast, when any of the citizen intervenors with their array of numerous, truly sobering & substantial concerns is speaking (for the 10-minute time period they are allotted, no matter their level of expertise), one can sense a very keen interest in what is being said. Truth-telling is a compelling thing; there’s just no getting around it. I ought to state right here that a person cannot really do justice to a CNSC hearing using words & descriptions; I know because I’ve been trying & failing to do just this for years now. You have to experience a hearing first-hand to grasp how they really work. It’s quite a show, and that’s the truth. In fact, there is an air to it of drama & performance. A great many untruths are spoken with deliberate, sober, straight faces. It can be quite challenging to listen to, a good deal of the time, when one is aware that lies are being spoken boldly left and right. What I’m going to do next is provide links to a selection of outstanding “interventions” from the hearing, by category. I’ll give links to the individual or group’s initial written submission & any “supplementary” submissions, as well as to page links for their remarks in the written transcript. If you’ve never before paid attention to what is aired at a CNSC hearing, I guarantee you’ll be amazed at the quality of the submissions. By all means, read the entire transcript, &/or watch the whole Webcast! ** This topic was referenced again & again & again … & then again. In fact, CNSC tribunal member Ms. Rumina Velshi observed at the hearing (see pg. 66 on November 4th) that more than 80% of the submissions received referenced concerns about inadequate emergency planning. ** You really must take a quick read of the CELA supplementary document linked in above! It spells out findings about inadequate emergency responses in the post-Fukushima accident period - in the assessment of the IAEA (International Atomic Energy Agency), the global nuclear "regulator" - which it appears Canada's "regulator" & government agencies at all levels are studiously ignoring! Sunil Nijhawan Sunil Nijhawan-Revised Sunil Nijhawan-Revised2 Nov.3rd(p. 231-280) ** an extraordinary, I would call it unique, exchange! Please understand: there were many, many additional thoughtful, intelligent, incisive, moving & compelling presentations during the hearing. I simply cannot include nor take the time to re-read them all. The most I can do here is touch on some especially memorable ones, ones that cover a wide range of topics of deep concern. I do encourage you to look over them all! I am not in the slightest convinced that the public concerns raised by all these articulate citizens of Durham Region, Toronto, elsewhere in Ontario (also two from Quebec, one from New Brunswick & one from Washington, D.C.) were really heard – truly listened to & digested – nor do I really expect (based on a now-rather-large number of CNSC hearing experiences) them to be appropriately acted upon. On the last day of the hearing, what became clear when CNSC staff & OPG made their final comments was that most of the incredibly large number of serious concerns raised by citizen interventors seem to have gone in the proverbial one ear, & right out the other. CNSC staff & OPG staff are quite practiced at dismissing, minimizing & denying safety issues of many (or all) kinds, & in many cases, patronizing even the most intelligent intervenors. Then … it's right back to the business of creating nuclear waste … & picking up the generous (very generous indeed!) salaries that this work provides. Btw, it’s decently possible the word “robust” was used a record number of times in this hearing. One CNSC staffer used it 3 times in a two-sentence span! (see pg. 350 of the Nov. 4th transcript). We seasoned CNSC watchers do know from this word’s exceedingly frequent usage that it is definitely something of a favourite among nuclear industry personnel, both here & in the U.S.
Something we know for sure is very very robust indeed, that the industry seems mostly loath to talk about &/or to skip over with considerable cavalierness (if this is a word), is nuclear waste. Nuclear waste is indeed wildly robust, robust beyond any of our wildest imaginings, even – and there is yet, 70 years into the great nuclear experiment, no solution for it. None, none, none – not one (unless you consider leaking storage sites here, there & everywhere on our planet, & burning, yes, incinerating nuclear wastes, viable solutions). Consider checking out this item for information about 6000 nuclear waste sites in the U.S.A. Very sobering. & note: that’s only in the U.S.! The total number world-wide must be simply staggering. Truly mind-boggling. Something that is not robust? Nuclear emergency planning in Ontario. Definitely definitely definitely NOT robust. As many many many citizen & NGO intervenors referenced at this recent hearing.